Choosing the best brand when it comes to vacuum cleaners is crucial. It takes a good amount of research to know which of the choices you have should you decide to buy. In this case, Shark is a brand that is known in the category of vacuum cleaners. It has different models to choose from depending on what features you may be looking for. Since they are all made of good quality, it almost seems impossible to choose the Best Shark Vacuum model. Nevertheless, we will be looking at the top models from shark and find out their best qualities. Shark did an outstanding job for creating the Shark Rotator Powered Lift-Away TruePet. It is a multi purpose vacuum cleaner that is versatile and easy to use. Advanced Swivel Steering Technology: As an upright vacuum cleaner, it features an advanced swivel steering technology that provides its user easier maneuvering when going around the house and hard to reach areas. For its canister type of feature, this makes reaching under your furniture and cleaning the stairs with an ease using its powerful brush roll. Its control panel is situated within the reach of your finger tips. This makes the process of switching from carpeted floors to bare floors with an ease. Clean Through The Dark: Be able to clean even in darker areas as the Shark Rotator Powered Lift-Away TruePet features some LED lights found on its handle and nozzle. This is best used when trying to reach under and not being able to see where the dirt is located. Anti-Allergen Complete Seal Technology: Shark Rotator Powered Lift-Away TruePet traps all the dust and dirt using its Anti-Allergen Complete Seal Technology. If any of your family members are suffering from asthma or allergies, don’t worry! this vacuum cleaner ensures safety for your house because of its lifetime HEPA filter. Best Shark Vacuum For Pets: Are you a proud owner of a pet animal. If yes, and facing problem cleaning your pet fur off your carpet or sofa, worry no more. No matter which pet you own, this shark vacuum is a very good choice for you. For your consideration, cleaning pet hair, especially from carpeted or other types of clothed surface, a giant rotator brush is required. If you look closely into your shark TruePet NV752, it has a very big rotator brush into its cleaning head. So, It is well capable of clearing pet hairs. This makes it the Best Shark Vacuum For Pets. Lightweight: Shark Rotator Powered Lift-Away TruePet has 30 feet of power cord, which allows you to move around the house and its total weight is only 15.6 lbs. Warranty: it comes with 7 years of warranty. It is a combination of an upright vacuum cleaner and a canister type since it can be detached from the handle when you need to. It’s best used for stairs, upholstery, garage and even ceiling fan when the lift away canister is detached. So if you are looking for a multi tasking vacuum cleaner then it’ll be a better deal. Shark Navigator Lift-Away Professional is one of the best selling shark vacuums in the market. It is offered as a mid priced model but works well for the job that it is designed to do. This particular model works on both bare floors and carpeted ones. The Dust-Away attachment also included 2 Microfiber Pads for cleaning bare floors effectively. Multi Feature Vacuum: It’s 2 in 1 feature, Upright and Lift-away makes this vacuum cleaner able to clean most areas at home. Cleaning the stairs, around the furniture including the walls and windows are made easy when the cleaning pod is detached from the floor nozzle. 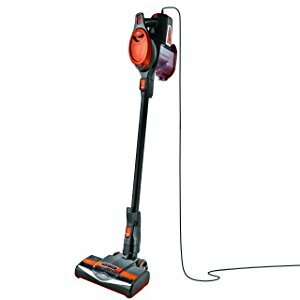 Lightweight: Shark Navigator Lift-Away Professional lightweight vacuum cleaner that weighs 13.7 pounds which makes it a lightweight cleaner. This is a bagless type of vacuum cleaner which also has a 30-foot long cord that helps you to bring it anywhere you need to clean. Anti-Allergen: It’s Complete Seal Technology traps 99.99% of the dust and dirt that it has collected during the cleaning time. Shark Navigator Lift-Away Professional has HEPA filtration, which ensures higher safety level. So If you have allergies at home now do not need to take any panic. High-End Suction Technology: Shark vacuum cleaners are known for their Never Lose Suction Technology. Its powerful suction and picks up fine dust as well as large debris on tiled and wood floors make this effective for the job of cleaning. It’s motorized brush roll for cleaning carpets can also be turned off, if dealing with bare floors. Warranty: It comes with a 5-year warranty. 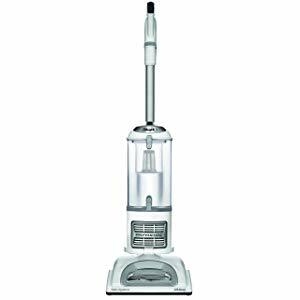 So, If you are searching for a Best Vacuum Cleaner at mid budget for you then, it will be the best vacuum for your home. Being able to maximize your vacuum cleaners capacity gives you a lot of advantages while using it. The Shark Rotator Professional Lift-Away acts as an upright vacuum cleaner and lifts away cleaner. Swivel Steering Technology: When using the upright mode, users will be able to clean around the house with ease especially that maneuvering the cleaner is done easily thanks to its swivel steering feature. On its lift away mode, you will be able to focus on cleaning other surfaces such as the stairs, around the furniture, upholstery and hard to reach areas. Lightweight: The canister is also made lightweight so that carrying it around won’t cause any burden to the user. The vacuum cleaner weighs 15.5 pounds and also has a 30-foot cord which makes your cleaning experience easy and better. Versatile Vacuum Cleaner: It’s above floor mode is made possible by using the crevice tool which makes the Shark Rotator Professional Lift-Away a versatile vacuum cleaner. The large capacity dust cup makes the cleaning experience longer as you do not have to worry about it getting full right away. It’s cleaning path measures 9.5 inches which are quite wide and also features LED lights for dark cleaning areas. Anti-Allergen Complete Seal Technology: It also features the Anti-Allergen Complete Seal Technology and HEPA filtration to help those who may be suffering from allergies and asthma safe around the vacuum cleaner. Design: When it comes to its design, the Shark Rotator Professional Lift-Away looks like just most of the high-end vacuum cleaners. It has a glossy finish and made of good quality materials. The wand is also sturdy and feels comfortable to use while the transparent bin provides you a better view of the inside. Premium Pet Hair Vacuum Cleaner: The Premium Pet Power Brush that is included in the package makes collecting pet dander effectively. Because of this feature, this could be considered as one of the Best Shark Vacuum for pet hair. Shark Rotator Professional Lift-Away is one of the best vacuum cleaners if you are looking for maximum cleaning facility in any situation. Its design is also attractive and lightweight too. So, wanna buy a complete vacuum cleaner? You should buy this now. Are you looking for the most lightweight vacuum cleaner yet a moderate suction power? Then the Shark Rocket Ultra-Light Upright model could be your life saver. 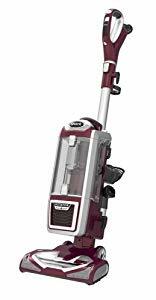 Most Lightweight Vacuum Cleaner: It weighs 7.5 lbs which make it really light to carry around as well as storing them after use. Suction Power: Despite its weight, the suction power of this vacuum cleaner is never compromised. It works great for both carpeted and bare floors with 2-speed brush roll settings. Convertibility: The Shark Rocket Ultra-Light Upright can also be converted into a hand vacuum. This allows the user to easily use it for hard to reach areas as well as cleaning the car. It also comes with a car detail kit which is really useful. Easy To Wash: The Dust Away hard floor attachment comes with one microfiber pad that is washable. This enables the vacuum cleaner to collect large debris as well as the tiniest particles of dust on bare floors. Easiest Controlling feature: Another great feature of this model would be having the controls available at your fingertips. No need to bend down and access the controls compared to other brands. Versatile Vacuum Cleaner: The Shark Rocket Ultra-Light Upright is a versatile vacuum cleaner that can be used from floor to ceiling. On its upright mode enjoy cleaning around the house with its swivel steering with an ease. Remove the wand and use it a hand vacuum for closer cleaning like furniture and upholstery. It also includes accessories such as crevice tool, pet upholstery tool and dusting brush which works great for the ceiling part. 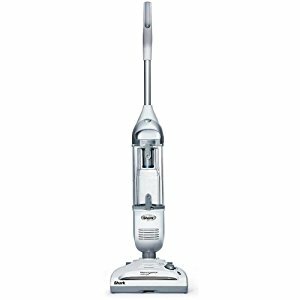 If anyone searching for an ultra-lightweight vacuum cleaner with versatileness then Shark Rocket Ultra-Light Upright (HV302) would be a great choice. In this day and age where everything seems to be going cordless, the Shark Navigator Freestyle Cordless Stick Vacuum is definitely among them. If you are wondering still which shark vacuum is best I guess the answer would be depending on your own specific needs. A Shark Vacuum can either be corded or cordless; it is up to the user which they prefer more than the other. However, it can still function the way a good vacuum cleaner should be. Swivel Steering Technology: It also works on both hard surface and carpeted floors and also has a swivel steering for better usage. It can stand on its own which means that storing it wouldn’t be so hard. The opening in the middle of its base allows collecting larger debris while cleaning. Fast Charging: With only 4 hours of charging time, you will be able to use the cleaner for about 15 minutes depending on the type of floor you are cleaning. Ultra-Lightweight: It also weighs only 7.5 pounds which make it easy to move around. Forget The Darkness When Cleaning: The dirt cup of the Shark Navigator Freestyle Cordless Stick Vacuum is also easy to manage. It has 3 LED lights that you will find useful when cleaning under the furniture. While controlling the vacuum is also made easier with the foot switch. One of the most winning features of this vacuum cleaner would be that it is cordless. This allows you to go around the house without worrying about how much distance your cords can provide. The Shark Navigator Freestyle Cordless Stick Vacuum is relatively affordable. Since we all wanted to get the most out of our vacuum cleaner, it is necessary to ensure that the products we consider are those that can deliver to our needs. 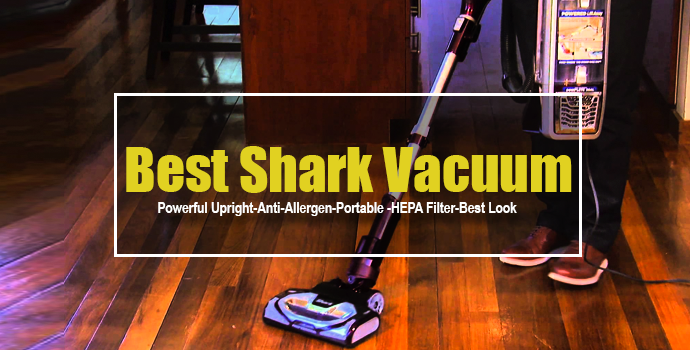 The best shark vacuum is not always the most expensive one but should be the one that will be able to help you clean the house and maximize its features. If possible, you may check on some actual products and test them yourself. This helps you decide effectively as you are able to try them first hand. However, while most cleaners provide warranties, always ensure that your vacuum cleaners are well maintained to keep it working for a long time. Fabulous vacs.! I would never buy any other brand than shark! Ive had 3 & each one has been a efficient & hard working vac. Recently I had a few parts brake & I was hoping to get replacement parts but instead they sent me a whole new vac! Amazing! Great product & outstanding customer service! I am so impressed with everything about the shark. We have big double coated dogs, horses & we live in the woods, we get dirty! The shark is the best vac. For dog hair & dirt removal! A great product at a fair price & unbelievable customer service, who could ask for more! Thanks shark!